A program is often composed of a tightly packed information which can be overwhelming and confusing. What do you do when you are handed a booklet which is filled to the brim with statistics in size 8 font? Where do you focus your gaze? What are the key details to unpick? How do you make sense of the program at the track? The Bet o'clock team is here to help you comb through the typical horse racing program to find all the essential information needed to wager confidently. What does a horse racing program look like? This information may seem a little daunting but once all the components are broken down into sections, they can provide a very reliable picture of the horses who are running on the track. Although it is still hugely popular to go to the tracks and bet on horses, the majority of preparation begins online nowadays. You can see online horse racing programs with betting apps and get lines and other race-related updates in real time. Going the online or mobile route can be a great way to streamline your horse racing experience. The only thing in a legible font on the program will be the horse's name. This will usually be accompanied by information about its owner and rider. 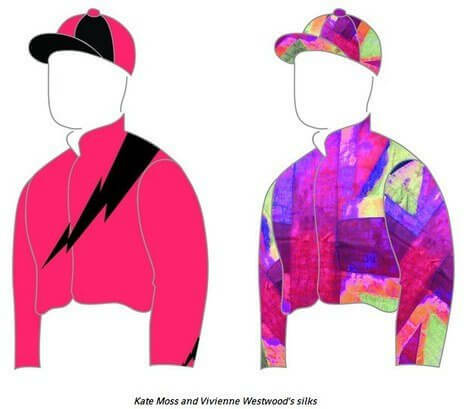 Additionally, the all-important silks will be pictured in the margin. This little picture is probably the most important piece of information in this section as it will enable you to recognize your chosen horse when it is running around the track. If no picture is featured, then the silks will simply be described as shown in the example above. Identifying silks is an easy way of verifying if a particular owner has any other horses running that day as typically every owner will have their signature patterns and colors. Once you have sufficiently analyzed this section, you will be ready to move on to the small print. If you have established the basics you can dive into the horse's previous records. These will not feature a breakdown of previous races, instead, these tend to be overall records per category. They serve as a broad overview of a horse's performance before delving into specifics. When looking through the records of a horse you will often find a list of dates that make very little sense. Although the specifics of this category may differ according to the program, in general, this section is sufficient to give you a good idea of the horses' performance as a whole. If you are satisfied with a horse's “life records” then it is worth moving on to read their records in past races. Race restrictions, ie handicap, age restrictions etc..
To make things a little bit easier we have put the unmissable information in green. Although there will be a series of numbers detailing the order of calls, singling out the final number which will designate the horse's position at the finish line should be enough to make a judgement call. The other important facts are race restrictions, course type, and type of race. These are all variables which must match up with the race you are betting on to make your predictions as accurate as possible. The past performance results must be taken with a pinch of salt. Although they will give punters concrete facts to make their prediction often they can be misleading if you skim over the details. See also TVG and Betfair promo code articles. If the horse is a champion at stakes hurdles, then it is impossible to predict their performance within a flat race with this particular set of facts. Since the program makers must compress a lot of information into a small amount of space, they usually rely on prior knowledge of the shorthand symbol used. This can be problematic if you are new to the track. 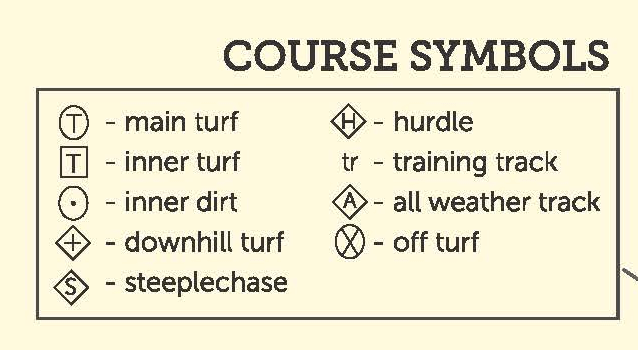 For a full glossary of these horse terms, check out our basic track dictionary. Beyond the horse and the jockey its important to consider what the terrain is like when you are analyzing and horse racing program. If a horse won on a course which does not resemble the one they are racing on at a later date, then all bets will be off. After you have checked whether the horse's prowess is on Turf or Hurdle, it is important to verify the condition of the track. It may have been sloppy, muddy, hard or good, depending on the day. All of these minute details add up to create a complete picture of a successful horse. Fortunately, this section is a breeze. This is only really important if a horse has just turned 3 and therefore has just begun to qualify for more challenging races. In practice, this information is not required to secure a win. It is just useful to identify these symbols so that you are not thrown when you see these abbreviations on the program. If you are more advanced you may want to see whether a horse has improved automatically when they were put on Lasix or Bute. If you want to know how it's done across the pond, check out this article by the BBC.